A Deputy National Police Chief on Friday referenced the death penalty after interviewing a Thai business man who denies murder charges after killing a husband and wife while driving drunk. 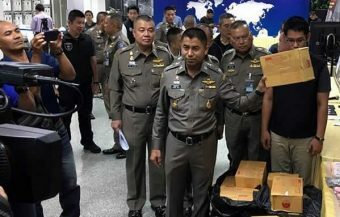 This follows confirmation that Thai police had charged a respected Thai business owner and employer with murder and attempted murder among other charges after he was found drunk in his Mercedes Benz vehicle which earlier had driven into a small Suzuki car instantly killing senior Thai police officer, Police Lieutenant Colonel Chatuporn Ngamsuwichakul and causing injuries to his 44 year wife from which she died shortly later at a local hospital. The couple’s 16 year old daughter was seriously injured in the crash. The 57 year old businessman had told police he was unconscious at the moment his car collided with the the policeman’s car. 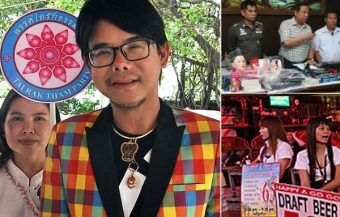 One of Thailand’s most successful businessmen is facing a charge murder and a possible death sentence after getting behind the wheel drunk on the first day of the country’s traditional Songkran festival. 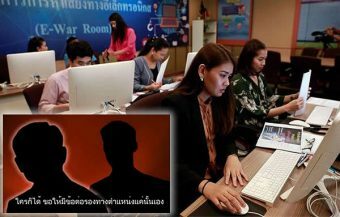 The dramatic development comes as a result of an order last week issued by Thailand’s Deputy Prime Minister that all those who engage in drunk driving that subsequently causes death should face murder charges. 57 year old Somchai Wayrotepipat runs a highly respected and long standing company in Thailand. The firm has two factories in the the kingdom and provides substantial employment. 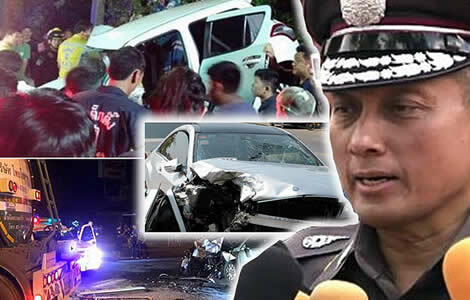 On Friday morning, his luxury Mercedes E250 car ran into a small Suzuki car killing the senior Thai police officer and his wife. 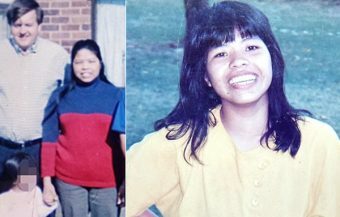 The accident left the couple’s 16 year old daughter seriously injured. The business man has admitted that he was unconscious at the moment of collision and was drunk but is vigorously contesting the murder charges against him. The harrowing crash was one of hundreds throughout Thailand on the first day of the Songkran festivities. It has also emerged that first victim of the season was a Dutch foreigner who was killed in Kanchanaburi on April 11th when his rented car ploughed into an oil tanker. Scenes from the horrific smash which occurred in the Thawi Watthana area of Bangkok early on Friday morning and saw a husband and wife lose their life in a horrific smash. The accused man, 57 year old Somchai Wayrotepipat, is a successful business owner and has admitted drunk driving to police. His is fighting the charges of murder soon brought against him by the Thai police. 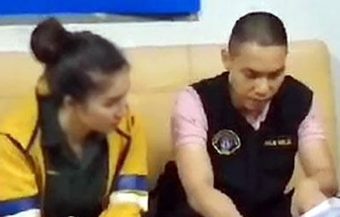 The businessman was interviewed following the accident by Thailand’s Deputy National Police Chief, Wirachai Songmetta, who confirmed the murder charges which carry the death penalty in Thailand. The charges follow an order made last week by Thailand’s influential Deputy Prime Minister Prawit Wongsuwan to the Royal Thai Police that murder charges should be brought against all drink driving offenders causing death on Thailand’s roads during the Songkran festive holiday. The first day of the holiday showed accidents and injuries well up on last year but deaths down slightly by 4%. The first fatal casualty of the holiday period was a Dutch foreigner in Kanchanaburi province in western Thailand who only arrived in the kingdom on Tuesday April 9th last and was killed yesterday in the early hours, when his rented Toyota car ran into the back of an oil truck at speed. A high profile Thai business man is facing murder and attempted murder charges following a devastating road traffic accident in Bangkok early on Friday morning. The accident saw a senior Thai police officer and his wife killed and the couple’s daughter seriously injured when the business man’s Mercedes Benz luxury saloon ploughed into their car. The policeman and his family were driving a Suzuki Swift car. The harrowing accident occurred in the Thawi Watthana area to the north west of Bangkok. 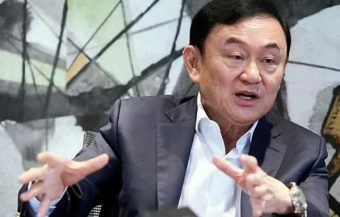 The 57 year old business man is reported to be the senior director and owner of one of Thailand’s most successful companies. The Thai Carbon & Graphite Company is reported to be one of the biggest producers of brushes for industrial use and carbon products for the mechanical engineering industry not only in Thailand but in Southeast Asia. The substantial company has a number of large factories in Thailand employing a large number of people and has won quality awards for its service. It has been established in Thailand since 1963. The business owner was named as Somchai Wayrotepipat. Reports from the scene of the tragic accident suggest that the business man was in inebriated state and reacted aggressively to officials, onlookers and rescue workers on the scene. The business man was arrested after being removed from his grey Mercedes Benz E250 saloon car. 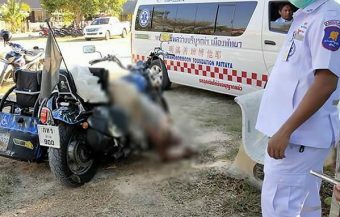 It is reported that the business man hit the car containing the Thai police officer and his family head on. The 57 year old driver of the Mercedes has already admitted being unconscious while in control of his vehicle. 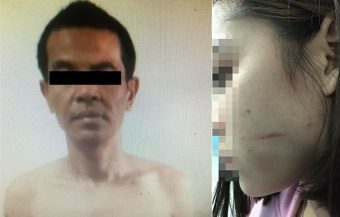 The police officer was named as Police Lieutenant Colonel Chatuporn Ngamsuwichakul who is reported to have been 48 years of age. The police man was killed after the Mercedes Benz smashed into his white Suzuki car. 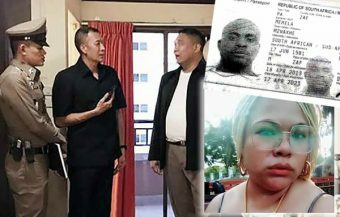 His wife, 44 year old Nuchanbart Ngamsuwichakul, died later from severe injuries caused by the crash after being removed to Rachapiphat Hospital in the Bang Kae area of Bangkok. It has also been confirmed that the couple’s 16 year old daughter, Piyapa, was seriously injured in the horrific smash and also removed from the scene by rescue workers. The business man, Somchai Wayrotepipat, is reported not to have suffered any injuries in the crash. 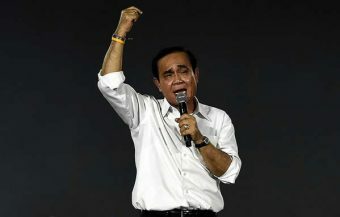 Thai police have confirmed that his blood alcohol readings were 260 mg/DL, well over the legal limit. Some medical experts suggest that a reading of 300 mg/DL is enough to render any individual unconscious although individual characteristics and physical factors come into play. He was immediately charged with drunken driving. 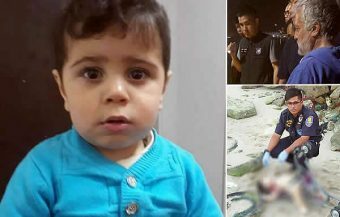 However, Thai police later pressed the more serious charges of murder, attempted murder as well drink driving causing death, personal injury and property damage. 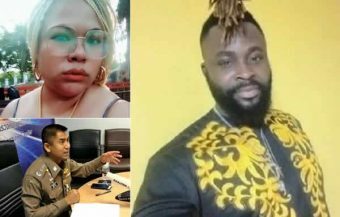 The business man has denied the more serious charges of murder but has already admitted his culpability to the lesser charges. 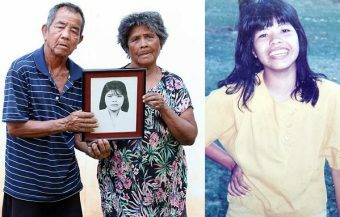 However, the case will ultimately be tried before a Thai court. 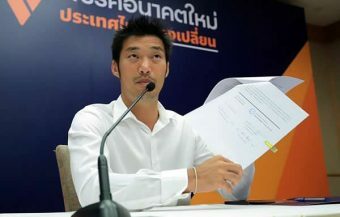 The businessman was questioned at the scene by the Deputy National Police Chief Wirachai Songmetta who made reference to the death penalty after interviewing the 57 year old, pointing out that the murder charge leveled against the the businessman for causing the death of the the policeman and his family is one that carries the death penalty. 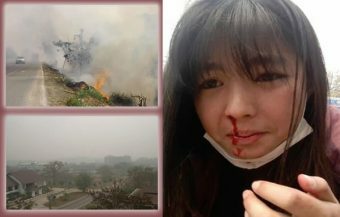 He told reporters that the businessman had been returning from socializing and playing golf with friends. The 57 year old accused admitted that he had consumed 5 bottles of beer before leaving for home. He admitted that he had fallen unconscious behind the wheel of his car only to reawaken after the impact with the airbag in his luxury vehicle activated for safety. Meanwhile, it has emerged that the first road traffic casualty of the Songkran festivities on Thailand’s roads was a foreigner. The Dutch man has not yet been officially named but reporters suggest his name unofficially as Roy Van Veeland or Roi Fanh Veeland. The man, who some reports state was 42 year old, had only arrived in Thailand on April 9th last. He had rented a house in the centre of Kanchanaburi at Tambon Tha Lor. It is reported that the Dutch man was driving a rented car. He appears to have run into the back of an oil tanker at speed at 3 am on Thursday April 11th. The traffic lights on the road, located at an intersection he was driving through, were flashing orange but the Dutch man failed to slow or to see the stationery tanker in front of him. His Toyota car hit the larger vehicle head on. The middle aged man died instantly suffering from a range of injuries including a broken neck, legs and ribs. 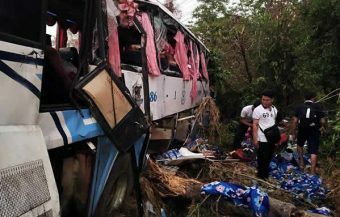 In the first day of the holiday period alone, Thai police are reporting another heavy death toll with 46 people killed which is down over 4% on last year but the number of serious accidents and injuries is up significantly. The spread of the accidents was pretty uniform but a number of provinces have emerged as particularly deadly locations. 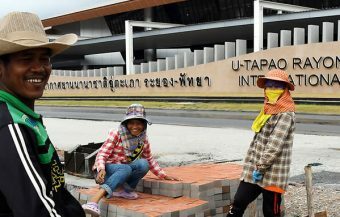 These include Nakhon Si Thammarat, Udon Thani and Nakhon Ratchasima. Nearly 80% of the accidents so far have involved motorbikes with drink driving and speeding emerging as the key behavioral causes. Nearly 35% of all accidents included drink driving and nearly 27% involved speeding. It is a consistent picture while it is also a constant tragedy. It almost feels that the Royal Thai Police is fighting an overwhelming tide as The nationals launch in to their traditional national holiday and festivities which unfortunately involved road travel and alcohol as key patterns of behavior. Already over 1,100 people have been brought before the courts for drunk driving. Significantly, over 300 were apprehended for driving under the influence of illicit drugs. 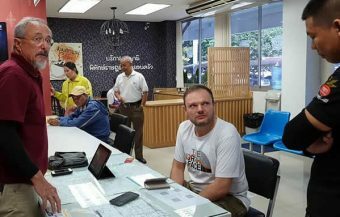 Thousands of motorists have been arrested and brought before the Thai courts already, mostly at local level which accounts for nearly 74% of cases. Other matters are more serious. Figures for the first day of Songkran alone show over 1,700 facing charges proffered by Thai police before the courts. 43 of these individuals were foreigners.